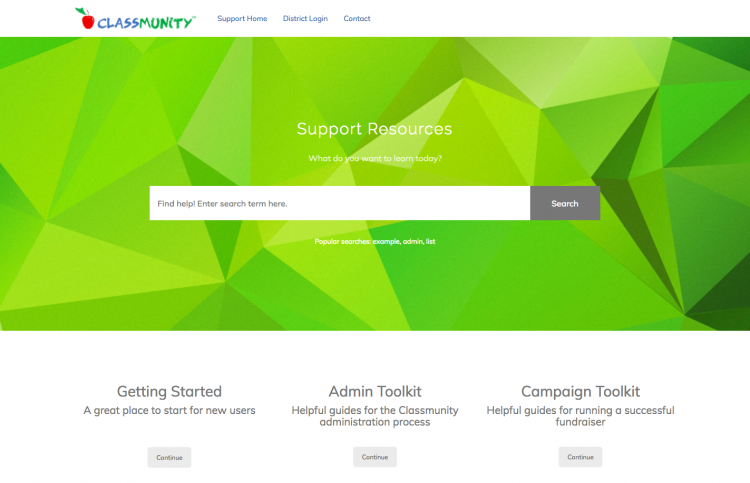 Getting Started is the place to go to for brand new Classmunity users. It contains everything you need to know to get you up and running. Admin Toolkit is a helpful guide that explains the advanced administrator features. Campaign Toolkit provides tips and best practices to get the most out of Classmunity. Classmunity is actively working to provide you with the tools you need to be successful. If you would like to share any of your best practices or have any toolkit requests, please let us know! We love hearing from you – drop us a line at support@classmunity.com.